This article is from Press Releases - ITIL and has been viewed 10235 times. Replaced by 2012 edition - click for link to new edition. This article is from ITIL Book Store - ITIL v3 Books and has been viewed 10999 times. This guide provides a quick reference to the processes covered by the ITIL V3 PPO syllabus. It is designed as a study aid for students taking the ITIL Capability qualification for PPO. This article is from ITIL Book Store - ITIL v3 Books and has been viewed 6592 times. 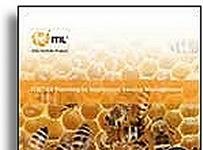 This guide provides a quick reference to the processes covered by the ITIL V3 SOA syllabus. It is designed as a study aid for students taking the ITIL Capability qualification for SOA. 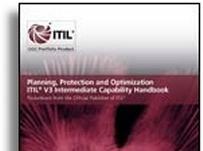 This article is from ITIL Book Store - ITIL v3 Books and has been viewed 7098 times. A six-step process to planning service management implementation. Relationships, roles, organisation and structure. Enablers and blockers to successful service management. 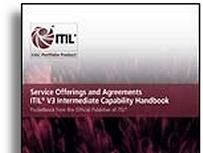 This article is from ITIL Book Store - ITIL v3 Books and has been viewed 7896 times. This article is from Press Releases - ITIL and has been viewed 9723 times. This article is from Press Releases - ITIL and has been viewed 8187 times. This article is from Archive - Archived Articles and has been viewed 5461 times. This article is from ITIL News - Previously and has been viewed 8534 times.